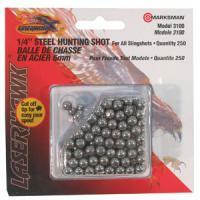 Improve your aim, accuracy and shooting ability by getting professionally made slingshot ammo. At Camping Gear Outlet, we carry a variety of different calibers and package sizes to fulfill your ammunition needs. 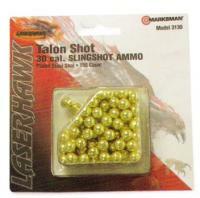 Whether you’re smacking tin cans for target practice or firing away at small game, we have the slingshot ammo you need. Need your ammo in a hurry? All of the slingshot ammo we sell comes with rapid shipping, so you won’t have to wait long for your item to arrive. 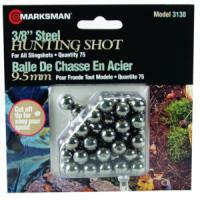 Trumark Ammo, 5/16 Steel BB, 72 Ct. These work great, if they're what you're looking for. I bought these hoping they were a little bigger. They are very tiny but if you are looking to be able to shoot a bunch at the same time and with pretty good groupings, then its a good buy. They are BB's---what else can I say?